Welcome to Open Topic (the Podcast) section. This is a general Podcast. It's for anyone and everyone. If you have an interesting story to tell or a business to advertise, Open Topic wants to hear about it. Come on this show and tell your story. Warning: Explicit language is used throughout this Podcast. 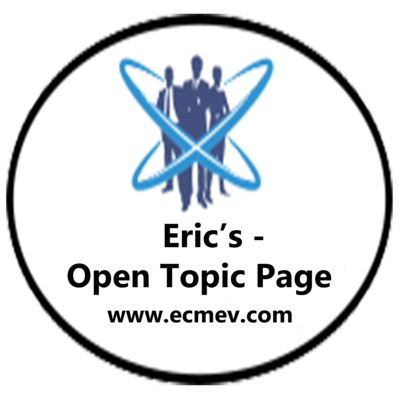 Hi I'm Eric the host of Open Topic the podcast section. My guest today is Katya and together we will be discussing amongst other things how Conversion Therapy is totally wrong and should be made illegal throughout Canada. We will be discussing about Devon Hargreaves who is from Alberta and how and how he started a petition and had 18 000 signatures, and how he presented that to the Federal Government to make and how he presented that to the Federal Government to make illegal,, however they denied the request, saying that it should be the choice of each provinces in Canada to decide for themselves if they think its wrong and ban it. However I think that the Federal Government was and is wrong anf that they should making it illegal Canada wide. There are a couple of Provinces that has banned Conversion Therapy, Ontario being one of the Provinces and a couple more but I'm not quite sure which ones. Europe has already made Conversion Therapy illegal and that it can lead to jail if people are caught. To read more go to this link https://urlzs.com/E35Q66 Therefore I am starting an Online petition addressed to PM Justin Trudeau asking to change the criminal code for all of Canada rather than letting the provinces decide for themselves. I'm also planning to do a Peaceful Protest this summer (2019) with a large group of the LGBTQ community to meet up on Parliament Hill. What I need help with are followers both for the Online Petition which the link that is posted below as well as for the Peaceful Protest this summer. My current dilemma is that because I am straight I only have a couple of friends from the LGBTQ community but I need lots of followers to help see this through. So please share this podcast as much as you can as well if you're interested in signing the petition and / or joining us for the Protest this summer send me an email at sayno@ecmev.com telling me if you would like to participate in either the Online petition and / or the Protest. I will take your info down and once the date and time has been decided I will email everybody to update them. So please sign and share this podcast with everyone, friends / family and anyone else you can think of. Thank you. Together let's make this happen. Thierry Harris, he is running for councillor for lowertown / vanier (Ward 12). He talks about some of the things he would like to do for the City of Ottawa if he is or should I say had been elected as councillor. I say had been since this is an old Podcast that I am reposting on anchor for people to listen to. Listen to his ideas. NOTE: EVERY Podcasts until Episode 45 were recorded in 2018 with a couple in 2017 I believe. P.S. Most of these podcasts are from another site with old links therefore at the end of the podcast when I mention "MY" links i.e: Twitter, Facebook or website... They are outdated therefore you can disregard them. My website is: https://www.ecmev.com as for Twitter & Facebook I am Connected through Anchor. My guest on today's show is Casey Williams. She's an accountant serving clients throughout the United States. She recently left the corporate world to follow her passion to help others and enjoy a financial stress business. P.S. Most of these podcasts are from another site with old links therefore at the end of the podcast when I mention "MY" links i.e: Twitter, Facebook or website... They are outdated therefore you can disregard them. My website is: https://www.ecmev.com as for Twitter & Facebook I am Connected through Anchor. On today's show my guest is Matt. He's a Podcaster, a clothing designer and a DJ from Kingston, Ontario. All in all he's an entrepreneur living his dream. P.S. Most of these podcasts are from another site with old links therefore at the end of the podcast when I mention "MY" links i.e: Twitter, Facebook or website... They are outdated therefore you can disregard them. My website is: https://www.ecmev.com as for Twitter & Facebook I am Connected through Anchor. My guest on today's show is Tasneem. She does Occupational therapy although she also does upskilled herself in the art of WordPress, web design and Online Marketing. She refers herself as a Multi passionate entrepreneur. Listen to the Podcast. P.S. Most of these podcasts are from another site with old links therefore at the end of the podcast when I mention "MY" links i.e: Twitter, Facebook or website... They are outdated therefore you can disregard them. My website is: https://www.ecmev.com as for Twitter & Facebook I am Connected through Anchor. Terri is a licensed professional relationship counselor. She works with couples faced with infidelity and people that want to restore their relationships. P.S. Most of these podcasts are from another site with old links therefore at the end of the podcast when I mention "MY" links i.e: Twitter, Facebook or website... They are outdated therefore you can disregard them. My website is: https://www.ecmev.com as for Twitter & Facebook I am Connected through Anchor. On today's show my guest is Predeepa. She is a fertility coach. She talks to woman, men & couples who are having difficulties in becoming pregnant. She offers them options and support by being their for them during these rough times. Listen to my Podcast for more info. P.S. Most of these podcasts are from another site with old links therefore at the end of the podcast when I mention "MY" links i.e: Twitter, Facebook or website... They are outdated therefore you can disregard them. My website is: https://www.ecmev.com as for Twitter & Facebook I am Connected through Anchor. My guest on today's show is Travis. His mission in life is to try and help people to get rid of their debts by find different ways them to manage their money by helping them to make a budget which will help them eventually become debt free. Check out the Podcast P.S. Most of these podcasts are from another site with old links therefore at the end of the podcast when I mention "MY" links i.e: Twitter, Facebook or website... They are outdated therefore you can disregard them. My website is: https://www.ecmev.com as for Twitter & Facebook I am Connected through Anchor. On today's show, my guest is Aldeen she is a career coach and she talks about how she helps people with anxiety. Tune in to listen. P.S. Most of these podcasts are from another site with old links therefore at the end of the podcast when I mention "MY" links i.e: Twitter, Facebook or website... They are outdated therefore you can disregard them. My website is: https://www.ecmev.com as for Twitter & Facebook I am Connected through Anchor. On today's Podcast my guest is Blaine, he is a former physicist. He has a masters and bachelors degree in physics as well as a bachelors degree in education. He's currently a teacher & podcaster, on this podcast we discuss how Math has changed from the past to today. Listen to the Podcast to find out more. P.S. Most of these podcasts are from another site with old links therefore at the end of the podcast when I mention "MY" links i.e: Twitter, Facebook or website... They are outdated therefore you can disregard them. My website is: https://www.ecmev.com as for Twitter & Facebook I am Connected through Anchor. On my show today my guest is Micheal he is an audio engineer at Walt Disney World in Florida, he also does Podcasting... Check it out. P.S. Most of these podcasts are from another site with old links therefore at the end of the podcast when I mention "MY" links i.e: Twitter, Facebook or website... They are outdated therefore you can disregard them. My website is: https://www.ecmev.com as for Twitter & Facebook I am Connected through Anchor. Brant he is a speaker from Africa, he is a consultant and corporate trainer in the field of creativity, he does groups and teaches people on how to better themselves. Listen to this podcast. P.S. Most of these podcasts are from another site with old links therefore at the end of the podcast when I mention "MY" links i.e: Twitter, Facebook or website... They are outdated therefore you can disregard them. My website is: https://www.ecmev.com as for Twitter & Facebook I am Connected through Anchor. Joe Snyder talks about his businesses. He is the CEO of Lannister Holdings. He goes into detail about his businesses and his experiences. Check it out. Jesse talks her podcast "Pearls from my mom" and she talks about how she interviews people who've lost their mothers and asks them to share their Pearls of Wisdom. Check out her Podcast http://pearlsfrommymom.com/ and Listen to the Show. On today's show my guest is Kate Welsh she talks about how she recently paid back a ton of debts she owed from students etc... Now she runs a podcast called Chain of Wealth where she shares her knowledge of what she did to get out of debt to try and help of people to find financial freedom. Check it out. Jamie Irvin he is a Canadian Business man he is an entrepreneur and he talks about his businesses P.S. Most of these podcasts are from another site with old links therefore at the end of the podcast when I mention "MY" links i.e: Twitter, Facebook or website... They are outdated therefore you can disregard them. My website is: https://www.ecmev.com as for Twitter & Facebook I am Connected through Anchor. My guest today is Andrew Davis and he talks about he interviews different people on his Podcast like writers, boxers etc... Its a good podcast to listen to for those of you that are just starting out in Podcasting or even maybe tips for pro Podcasters. Check it out. P.S. Most of these podcasts are from another site with old links therefore at the end of the podcast when I mention "MY" links i.e: Twitter, Facebook or website... They are outdated therefore you can disregard them. My website is: https://www.ecmev.com as for Twitter & Facebook I am Connected through Anchor. In this Podcast I did a review of a previous Podcast I did w/ Cory Tibbits and his Group. Now I made a mistake in this Podcast when I said in the beginning that it was a group of 5 people as Adventure in your Ear are 6 people. The Podcast I did w/ Cory Tibbits is episode 23. Anyhow listen to the review, I recorded a clip of the review its definitely worth going to their shows or listening to their podcasts. Here are their URL's https://adventureinyourear.podbean.com/ https://www.facebook.com/events/1753471104866405/ P.S. Most of these podcasts are from another site with old links therefore at the end of the podcast when I mention "MY" links i.e: Twitter, Facebook or website... They are outdated therefore you can disregard them. My website is: https://www.ecmev.com as for Twitter & Facebook I am Connected through Anchor. On todays show my guest Miya she will be discussing how she teaches trauma informed classes in Sydney, Australia. Its a very interesting podcast. P.S. Most of these podcasts are from another site with old links therefore at the end of the podcast when I mention "MY" links i.e: Twitter, Facebook or website... They are outdated therefore you can disregard them. My website is: https://www.ecmev.com as for Twitter & Facebook I am Connected through Anchor. On todays Podcast my guest is Brian and is the Co-Hostof a Pop culture Radio show out that talks about movies, TV shows and other Geek Topics. Listen to the Podcast and also visit their website at https://twigradio.com/ P.S. Most of these podcasts are from another site with old links therefore at the end of the podcast when I mention "MY" links i.e: Twitter, Facebook or website... They are outdated therefore you can disregard them. My website is: https://www.ecmev.com as for Twitter & Facebook I am Connected through Anchor. On todays episode my guest is Logan and we talk about different aspects of podcasting as well as some bonuses that it can bring to some people. Its an interesting to listen especially for those who are into Podcasting. P.S. Most of these podcasts are from another site with old links therefore at the end of the podcast when I mention "MY" links i.e: Twitter, Facebook or website... They are outdated therefore you can disregard them. My website is: https://www.ecmev.com as for Twitter & Facebook I am Connected through Anchor. On my show today my guest is David Rosen. He comes on my show to talk about some of the things he does like Online Marketing etc... Check it out. P.S. Most of these podcasts are from another site with old links therefore at the end of the podcast when I mention "MY" links i.e: Twitter, Facebook or website... They are outdated therefore you can disregard them. My website is: https://www.ecmev.com as for Twitter & Facebook I am Connected through Anchor. On my Podcast I interviewed Cory Tibbits. He is a comedian along with is other 5 teammates. They go to different places in Ottawa to perform, They do gigs, read stories and do voices of different characters. I attended one of their Comedy shows, it was quite entertaining. listen to this Podcast and visit their Podcast site https://adventureinyourear.podbean.com/ P.S. Most of these podcasts are from another site with old links therefore at the end of the podcast when I mention "MY" links i.e: Twitter, Facebook or website... They are outdated therefore you can disregard them. My website is: https://www.ecmev.com as for Twitter & Facebook I am Connected through Anchor. In this Podcast my guest is Jared and he talks about his incurable eye condition which will eventually lead him to blindness. Throughout our conversation he was talking as if he was ready for when he becomes blind. For more info listen to the podcast. P.S. Most of these podcasts are from another site with old links therefore at the end of the podcast when I mention "MY" links i.e: Twitter, Facebook or website... They are outdated therefore you can disregard them. My website is: https://www.ecmev.com as for Twitter & Facebook I am Connected through Anchor. On this Joint Podcast with Chad Vice from the Nobodies are Somebodies Podcast we talk about this Homeless Shelter Petition that's been going around that is calling the homeless shelters a cancer. Check it out. P.S. Most of these podcasts are from another site with old links therefore at the end of the podcast when I mention "MY" links i.e: Twitter, Facebook or website... They are outdated therefore you can disregard them. My website is: https://www.ecmev.com as for Twitter & Facebook I am Connected through Anchor. On this episode City Councillor Mathieu Fleury answers questions from the public that they previously asked on my website which you can check on my previous Podcast. Mathieu Fleury answered the people's questions. Listen to the Podcast. P.S. Most of these podcasts are from another site with old links therefore at the end of the podcast when I mention "MY" links i.e: Twitter, Facebook or website... They are outdated therefore you can disregard them. My website is: https://www.ecmev.com as for Twitter & Facebook I am Connected through Anchor. On this episode I talk about ways I think of ways to this City better as well I read out ideas that other people filled out on the Opinion poll that I had put up on the Open Topic website back in the day. Check it out. P.S. Most of these podcasts are from another site with old links therefore at the end of the podcast when I mention "MY" links i.e: Twitter, Facebook or website... They are outdated therefore you can disregard them. My website is: https://www.ecmev.com as for Twitter & Facebook I am Connected through Anchor. On this podcast my guest is Chad Vice and we discuss the music of Eminem and whether or not we think there might be truth behind some of the songs that he sings. Check it out. This podcast is a joint podcast between Chad Vice and another guest who I've been trying to get on my show. We had a 3 way split connection podcast. We discuss the Tide Pod challenge that teens were doing at some point as well as Movies and how they can influence some people. Listen to the podcast. P.S. Most of these podcasts are from another site with old links therefore at the end of the podcast when I mention "MY" links i.e: Twitter, Facebook or website... They are outdated therefore you can disregard them. My website is: https://www.ecmev.com as for Twitter & Facebook I am Connected through Anchor. A while back sometime in 2017 the big cellphone companies in Canada (Telus, Bell & Rogers) were offering a Limited time offer where they were offering their clients a 10GB of Data for $60. When they meant limited it was one day only. However every time I tried to call Rogers the line was busy. I was reading Tweets that made this seem weird. Listen to this Podcast. P.S. Most of these podcasts are from another site with old links therefore at the end of the podcast when I mention "MY" links i.e: Twitter, Facebook or website... They are outdated therefore you can disregard them. My website is: https://www.ecmev.com as for Twitter & Facebook I am Connected through Anchor. On this solo show I'll be talking about the downtown streets of Ottawa and how we have a homeless problem as well as gang or crackheads and our streets are not safe. I talk about how the City should make changes... Check it out. P.S. Most of these podcasts are from another site with old links therefore at the end of the podcast when I mention "MY" links i.e: Twitter, Facebook or website... They are outdated therefore you can disregard them. My website is: https://www.ecmev.com as for Twitter & Facebook I am Connected through Anchor. The following is a joint podcast between Open Topic & Chad Vice from the Nobodies are Somebodies Podcast. There isn't really a specific topic. Chad and I have been friends for several years so we talk about different topics, check it out. P.S. Most of these podcasts are from another site with old links therefore at the end of the podcast when I mention "MY" links i.e: Twitter, Facebook or website... They are outdated therefore you can disregard them. My website is: https://www.ecmev.com as for Twitter & Facebook I am Connected through Anchor. On this Podcast I talk about the CBC story that was released on November which talks about how Toronto might be accepting 170 000 immigrants & Canada 1 000 000 immigrants in total. 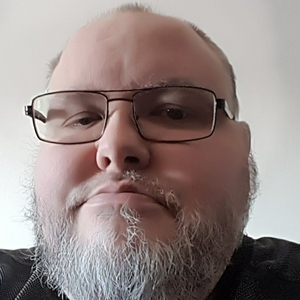 The podcast talks about how in my opinion Canada should take care of its citizens and making this Country better before opening their doors to outsiders. Listen to the podcast to hear more. This episode is about the Rideau Street Sinkhole which happened on November 2nd, 2017 in Ottawa, ON due to a tunnel collapse for the LRT project. Listen to the podcast. P.S. Most of these podcasts are from another site with old links therefore at the end of the podcast when I mention "MY" links i.e: Twitter, Facebook or website... They are outdated therefore you can disregard them. My website is: https://www.ecmev.com as for Twitter & Facebook I am Connected through Anchor. On this episode my friend Chad Vice & I discuss how times have changed between the 1980s and 2017 with regards of in life as general. For a few examples; Computers, cell phones etc... Listen to the Podcast. P.S. Most of these podcasts are from another site with old links therefore at the end of the podcast when I mention "MY" links i.e: Twitter, Facebook or website... They are outdated therefore you can disregard them. My website is: https://www.ecmev.com as for Twitter & Facebook I am Connected through Anchor. On this episode I interview Mark Saunders one of the owners of Saunders Farm. Saunders Farm is an award-winning 100-acre farm attraction located in Ottawa’s countryside. Explore the largest collection of full-sized hedge mazes in North America, cool down in the SplashPad, climb aboard a Pirate Ship and take a hayride through beautifully landscaped gardens. Listen to the Podcast for more info and go visit their website http://saundersfarm.com/ P.S. Most of these podcasts are from another site with old links therefore at the end of the podcast when I mention "MY" links i.e: Twitter, Facebook or website... They are outdated therefore you can disregard them. My website is: https://www.ecmev.com as for Twitter & Facebook I am Connected through Anchor. On this episode my guest is Chad Vice from the Nobodies are Somebodies Podcast and we discuss how in my opinion causes war and that in my opinion if it wasn't for "religion" humanity would be so much better because there wouldn't be all these rules and hate etc... that religion teaches us... But before I get to much into depth just listen to the podcast. P.S. Most of these podcasts are from another site with old links therefore at the end of the podcast when I mention "MY" links i.e: Twitter, Facebook or website... They are outdated therefore you can disregard them. My website is: https://www.ecmev.com as for Twitter & Facebook I am Connected through Anchor. In this Episode my guest and I talk about the various Services of Para Transpo and how she feels about it. The ups and downs and if there is room for improvement. Listen to the story. P.S. Most of these podcasts are from another site with old links therefore at the end of the podcast when I mention "MY" links i.e: Twitter, Facebook or website... They are outdated therefore you can disregard them. My website is: https://www.ecmev.com as for Twitter & Facebook I am Connected through Anchor. On this episode I will be talking about Pyramid schemes and how you can get easily scammed. Listen to this, P.S. Most of these podcasts are from another site with old links therefore at the end of the podcast when I mention "MY" links i.e: Twitter, Facebook or website... They are outdated therefore you can disregard them. My website is: https://www.ecmev.com as for Twitter & Facebook I am Connected through Anchor. In this episode I interview the owner of Perfectly Natural which is a company that sells various natural products like scented candles, soaps, oils etc... The owner is my sister in law therefore I can personally vouch for the products that she sells. My wife and I have used some of her products and they are fantastic. Go visit her website at http://www.perfectlynatural.ca/ P.S. Most of these podcasts are from another site with old links therefore at the end of the podcast when I mention "MY" links i.e: Twitter, Facebook or website... They are outdated therefore you can disregard them. My website is: https://www.ecmev.com as for Twitter & Facebook I am Connected through Anchor. In this episode I will be talking about the company UBER and how in my opinion the various problems they seem to be having from time to time. Do you experience similar problems? Want to come on here and share your stories? First listen to this Podcast. P.S. Most of these podcasts are from another site with old links therefore at the end of the podcast when I mention "MY" links i.e: Twitter, Facebook or website... They are outdated therefore you can disregard them. My website is: https://www.ecmev.com as for Twitter & Facebook I am Connected through Anchor. In this Podcast I'm interviewing my friend Jason. He tells his story about how he turned his life around. How he used to live on the streets and how he did decided to turn his life around for the better. He did a complete 180. He goes into the details. If he could do it anyone can. This Podcast is definitely worth listening to because its really interesting and inspiring. P.S. Most of these podcasts are from another site with old links therefore at the end of the podcast when I mention "MY" links i.e: Twitter, Facebook or website... They are outdated therefore you can disregard them. My website is: https://www.ecmev.com as for Twitter & Facebook I am Connected through Anchor. In this Episode my guest is Chad Vice of Sebcamco - Championship Vinyl and he talks about his company along with his business partner. He also talks about how he used to operate his business on eBay and why he decided that opening his own business rather than going through eBay was more profitable. Listen to the Podcast to find out more if your interested in opening up your own company or to find out more about Sebcamco. P.S. Most of these podcasts are from another site with old links therefore at the end of the podcast when I mention "MY" links i.e: Twitter, Facebook or website... They are outdated therefore you can disregard them. My website is: https://www.ecmev.com as for Twitter & Facebook I am Connected through Anchor. This show is all about how my wife and I first met and got to know each other which ended up to getting married. It's an interesting story for those of you who think all hope of love is lost. P.S. Most of these podcasts are from another site with old links therefore at the end of the podcast when I mention "MY" links i.e: Twitter, Facebook or website... They are outdated therefore you can disregard them. My website is: https://www.ecmev.com as for Twitter & Facebook I am Connected through Anchor. Welcome to Open Topic. This Podcast is an Introduction to describe to people what this Podcast is all about. 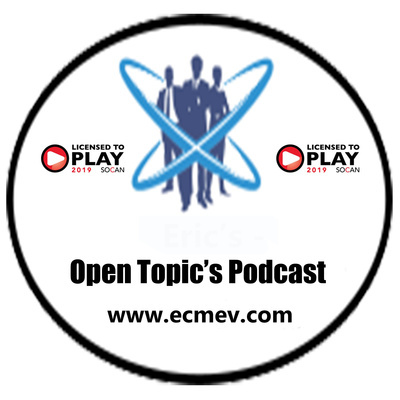 For more info or if you would like to be a guest on the show go to the Open Topic website: https://ecmev.com P.S. Most of these podcasts are from another site with old links therefore at the end of the podcast when I mention "MY" links i.e: Twitter, Facebook or website... They are outdated therefore you can disregard them. My website is: https://www.ecmev.com as for Twitter & Facebook I am Connected through Anchor.